Let cooler heads prevail! This attractive Smokey hat has mesh sides and back. 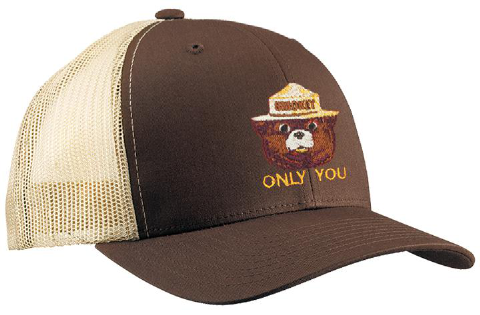 Smokey is embroidered on front. Plastic strap adjusts to fit all sizes.